Senddr allows you to seamlessly exchange electronic invoices with your customers and suppliers regardless of their accounting system. The service has just come out of a four month beta period with an impressive 10,000 users and I’m delighted that Sage One has now joined their network! The basic premise is very simple; a supplier of yours may use Sage 50 to handle their invoicing. They can send an invoice to you via Senddr and the invoice will automatically be recorded as a Purchase Invoice in Sage One Accounts without you having to rekey any details of that invoice. When you send create a Sales Invoice in Sage One, it will automatically be recorded in your customers system, regardless of what software they use to manage their invoices. In many ways, the services offered by Senddr remind me of the old EDI networks (for those old enough to remember them) but without any of the complexity or cost. There are a number of advantages in sending invoices this way. No longer can your customers say they didn’t receive the invoice as you will receive a notification to say that the invoice has been delivered. Senddr goes one step further than that and keeps you informed of any subsequent invoice changes. In addition, you don’t have to worry about keying in invoices into your accounting system which reduces errors and saves you time. 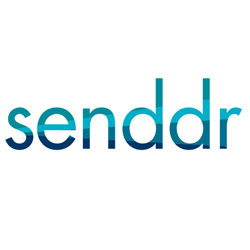 The configurability of Senddr is one of the beauties of the system. If you wish to control when invoices appear in Sage One, you can configure Senddr to “hold” all your invoices, before manually approving them for import into Sage One. It looks like a really nice service. I like the business model – it offers immediate value to anyone sending invoices.